We’re excited to announce registration is open for the first-ever Microsoft Business Applications Summit, coming to Seattle July 22–24! Combining the best of the Microsoft Data Insights Summit, Convergence, and the Dynamics 365 Technical Conference, this new event is designed to help you create the best, lasting solutions for your business. Don’t wait – secure your spot today! This unique, multidisciplinary event brings together analysts and power users, solution architects and data scientists to break down silos and build community. 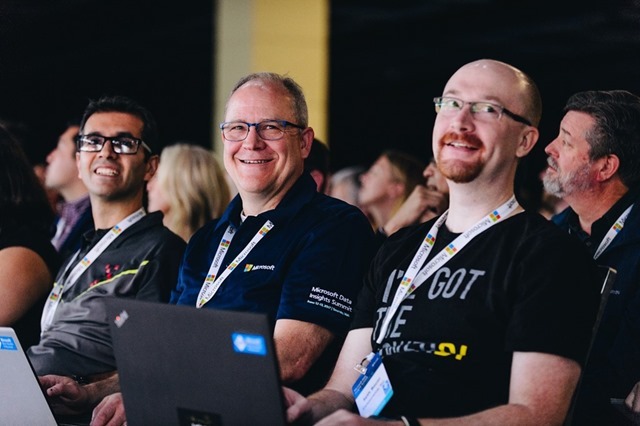 Featuring hands-on workshops and breakout sessions for all levels of expertise, direct access to the experts behind Microsoft’s top tools, and plenty of networking opportunities, the Microsoft Business Applications Summit has something for you. The full conference pass ($895/person) includes access to all regular sessions, content, networking events and meals on July 23 and 24. Immersive Pre-Day sessions on July 22 are available to conference attendees for an additional $300/person, and include breakfast and lunch. Join us to learn how Microsoft's end-to-end solutions can help you move your business forward. We hope to see you there – register today!